"Our Business Depends on Your Satisfaction." Many of our cylinders and machined parts are proudly installed as original equipment on heavy construction machinery. MRF Machine and Hydraulics specializes in CNC Machining and manufacturing of Air and Hydraulic Cylinders and Piston-Type Accumulators. We are a family owned business that pays close attention to all of our customer's requirements. 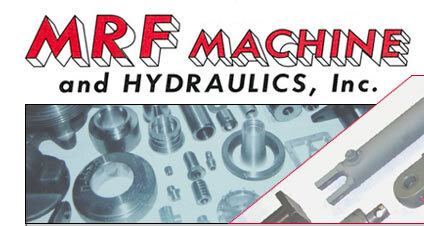 At MRF Machine and Hydraulics, we have experienced and knowledgeable personnel capable of manufacturing a wide variety of products, ranging from intricate individual machined components to complex fabrications and assemblies. In order to stay ahead in today's highly competitive market, your company requires high quality products and excellent service from its suppliers. MRF Machine and Hydraulics can meet those requirements with prompt dependable service and quality workmanship at reasonable prices.